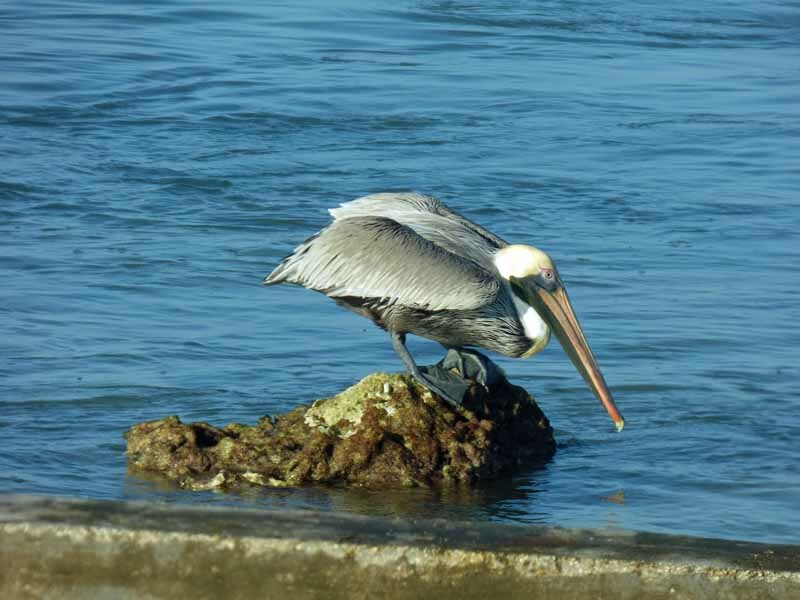 I have never seen a pelican fishing like a wading bird. This one stood on the rock staring into the water for a long time, just like the herons and egrets do. I noticed because it was leaning over so far. Then, after a bit, it stabbed into the water and came up with a small fish. I thought I was going to get some replies saying, “I’ve seen that”. Wow! It’s nice to see that nature is still alive and well. And that water is beautiful.